Bats, spiders, toads, vultures — many animals suffer from a creepy reputation as Halloween rolls around every year. But in fact, lots of our local species in Wareham that may seem spooky are actually essential and exciting members of our environment. Learn more about these 10 not-so-spooky species and appreciate them the next time you take a walk on one of our local trails and beaches. Spider crabs are a common site around Wareham’s waters, with their somewhat bizarre, spindly legs. Although these otherworldly crustaceans may seem spooky, in fact they are an extremely docile species that would rather eat algae all day than bother you. Spider crabs are also masters of camouflage: they cover themselves in algae and other sea life to hide from predators. You could say that the Halloween party never ends for these little creatures, who wearing costumes all year long! Opossums have held a bad rap for as long as most can remember. With their rat-like tails, toothy grins, and nasty little habit of digging through garbage, it’s no wonder why some may think that opossums are one of the creepiest critters around. In fact, opossums are more than likely to be just as spooked by you as you are by them! 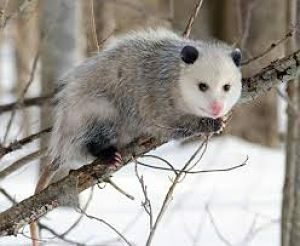 Opossums are omnivores, meaning they will eat meat and plants, and one of their favorite snacks are ticks. Healthy opossum populations are a great way to keep ticks under control in our local woodlands. Did you know that opossums are also marsupials? Just like the cuddly koala, opossums raise their young in pouches on their bellies and eventually carry them around on their backs. Because they are marsupials, opossums have much lower body temperatures than most mammals, making it harder for them to contract diseases like rabies and distemper. After learning a little more about this species it is easy to see why opossums are not so spooky after all! Bats are one of the most iconic images associated with this scary time of year. In reality, bats are the champions of much more than Halloween! Bats like the little brown bat, one of our most common bat species, play an important role in pest control — even though some may consider this species a pest itself. Did you know that bats love to eat mosquitos? When they are feeding, bats can consume up to 1,200 insects an hour! Bats are also great pollinators. What’s not to love about a species that eats pesky little biting bugs and helps keep your garden looking beautiful, too? Another icon of Halloween is none other than the spider, the original creepy-crawly critter. 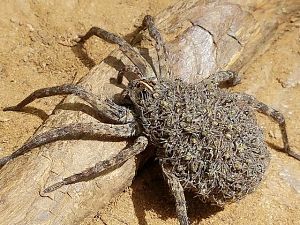 Despite its intimidating name and appearance, the wolf spider is a great garden companion. Spiders are fantastic at catching troublesome little insects that may be disrupting your enjoyment of the great outdoors. Wolf spiders prey upon aphids, which any gardener knows will wreck their beautiful plantings. This all-natural pest control doesn’t seem so spooky after all! With toads comes witches and warts, right? Wrong! It’s actually a myth that toads will give you warts if you touch them. However you probably shouldn’t touch them anyway because they have very sensitive skin. Toads are amphibians which are easily affected by pollution, making them a great indicator species. An indicator species is an organism whose abundance reflects the condition of their environment. 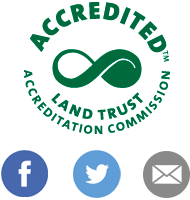 That means toads and other indicator species are a great way to monitor how healthy an environment is. The Fowler’s toad loves sandy soils, which makes the Wareham area a perfect place for them to play. Seeing one is a positive sign that our environment is healthy, not spooky! You’ve probably noticed the ominous presence of turkey vultures circling overhead, something they do when a meal has been found. If you know a little bit about turkey vultures, then you know that their favorite meal is usually already dead. Turkey vultures are a textbook example of why you shouldn’t judge a book by its cover. Although their appearance overhead is somewhat haunting, turkey vultures are an important member of our environment. Turkey vultures play the crucial role of consuming other animals that have passed away. This may seem gross, but it would be much grosser if those dead animals just stayed there! Turkey vultures take care of this part of the life cycle for us, which stops diseases from spreading and keeps our environment clean. These birds also have super strong immune systems that keep those diseases from passing on. In the spirit of Halloween, turkey vultures seem like the perfect way to keep zombies at bay! Snakes are quite the sinister stereotype, especially around Halloween. But the eastern hognose snake’s (Heterodon platirhinos) bluff is much bigger than his bite. Known for the upturned tilt in its snout that helps it dig, the eastern hognose snake happily calls the sandy soils surrounding Buzzards Bay its home. This snake is well known for its display antics when threatened, even going as far as feigning death as a last resort when fear strikes rather than biting, since they are venomless. Much like the Fowler’s toad, the eastern hognose snake is a crucial indicator species that lets us know that the ecosystem is doing well. That makes the eastern hognose snake an exciting sight, not a fright! If you have ever seen a sea robin (Prionotus carolinus) while fishing on Buzzards Bay, you may have thought about how ghoulish they look. Covered in spiked armour and greeting you with a hissing bark, sea robins can be quite a frightening catch. Sea robins are actually a fascinating find! These fish possess something called a drumming muscle which hits the fish’s swim bladder to produce that odd bark. Sea robins also have feelers to sense out prey in the sand that are also used as legs to pull the fish along. With their bright array of reds and greens, sea robins are a beautiful sight to see in our local waters. 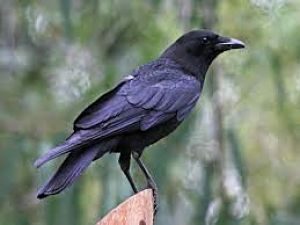 Crows (Corvus brachyrhynchos) have long held a bad reputation: They’re called an omen of bad things to come in Halloween films, and a group of crows is called a “murder.” In reality, crows are intelligent, highly social, and harmless birds that are found all around the world. The term “a murder of crows” likely can be linked back to the fact that crows are scavengers. This means they will eat just about anything they can, including things that have died, which keeps the environment clean (just like turkey vultures). Crows mate for life and have at least 250 different calls to communicate with each other. They roost in large numbers to protect one another from predators such as hawks. Crows have also been found to use tools and play, making them amiable than their bad rap may let on. If you have ever heard of a “fisher cat,” you may have also heard that their call sounds like a baby wailing. 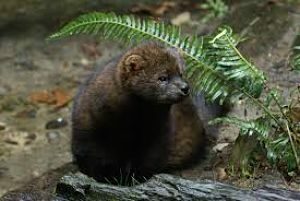 Old folktales say that people would hear this wailing from deep in the woods and go to help, only to come across a threatened fisher (Martes pennanti). Fishers are fairly aloof animals that are hard to find and hard to hear. More often than not, what is thought to be a fisher’s call is actually fox or raccoon. Although they are commonly called fisher cats, they aren’t felines — they’re actually a type of weasel (and they don’t catch fish, either!). Despite the notorious reputation fishers have, it’s unlikely that you’ll come across one out in the wild; if you did, it would be gone in a blink of an eye. The only thing spooky about these creatures is how quickly they can run to get away from you!